Victims of the recent Hokkaido earthquake and torrential rains in western Japan, as well as the 2011 Fukushima nuclear disaster, have called on the new Cabinet launched Tuesday to accelerate recovery efforts and for the ministers in charge to visit the affected sites. “I hope the ministers will visit the disaster-hit areas not just once but continuously,” said Masaru Ikeda, 76, who lives in makeshift housing in Kure, Hiroshima Prefecture, after his house was destroyed amid July’s deadly rain storms. The disaster killed more than 220 people across 15 prefectures, with Ehime, Hiroshima and Okayama hit the hardest. In Hokkaido, hit by a magnitude 6.7 quake on Sept. 6 that triggered massive landslides and killed 41 people, residents called on the government to speed up the recovery of farmland buried under mud. “We make a living from the rice paddies. We need to have the mud discarded fast, otherwise we won’t be able to produce next year,” said 60-year-old Yutaka Hashimoto, a rice farmer in the town of Atsuma, where 36 people died from the quake. In the revamped Cabinet, veteran House of Representatives members Takamori Yoshikawa and Hiromichi Watanabe assumed the posts of farm and reconstruction ministers, respectively. The government is set to submit a draft supplementary budget in the upcoming Diet session mainly to finance recovery from recent natural disasters. 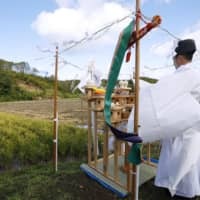 In Fukushima Prefecture, home to the nuclear complex crippled by the 2011 disaster, residents said Watanabe needs to visit the site to grasp the situation since he does not hail from the area. “Recovery efforts are still halfway there. 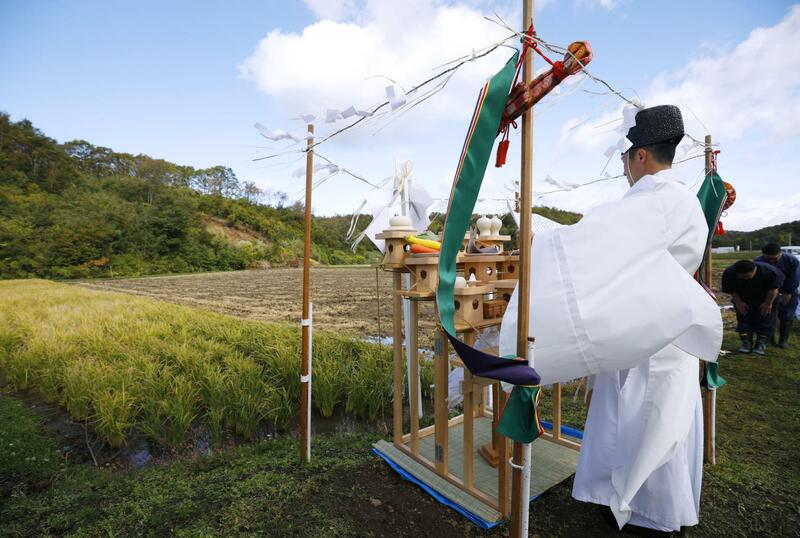 I hope the minister will not just stay in his office in Tokyo but see the disaster-hit areas with his own eyes in order to reflect what he saw when compiling policies,” said Ryoichi Sato, 64, who finally resumed farming in Minamisoma after an evacuation order was lifted in 2016. Some disaster victims were pessimistic. “It makes no difference who is in charge of reconstruction, which is taking way too much time,” said Sumiko Tanaka, 77, who lives in makeshift housing in the city of Iwaki. Her home is in the town of Okuma, to which entry is still restricted due to high radiation levels. “I have no hope in politics,” she said. Meanwhile, families of those abducted by North Korea decades ago expressed hope that Abe and his close aides will lead negotiations with Pyongyang to bring back all the victims. Chief Cabinet Secretary Yoshihide Suga, who had his tenure extended as the top government spokesman in the reshuffle, was also named as the minister in charge of the abduction issue. Suga is known as Abe’s right-hand man. “Having a direct subordinate of the prime minister to address the abduction issue is an advantage, which wasn’t achieved in the past,” said Shigeo Iizuka, who heads the group representing abductees’ families. “I call for immediate action to bring back the victims,” said the 80-year-old Iizuka, whose sister Yaeko Taguchi was abducted in 1978 at the age of 22. Before the latest Cabinet reshuffle, the minister of health, labor and welfare had doubled in the role. “At a critical moment in terms of how to start the summit between Japan and North Korea, I want the government to listen to various opinions and tackle them sincerely,” he said.